A pot magnet is a permanent magnet encased in a steel shell, which is sometimes called a pot, hence the name ‘pot’ magnet. A permanent magnet emits a magnetic field without the need for any electricity. Pot magnets are often used as magnetic bases and magnetic holders for large supermarket ceiling signs. Strong, compact and flexible. 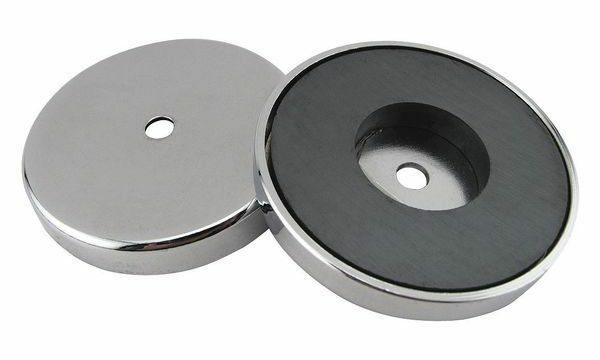 Those are the quality features of our neodymium pot magnets. 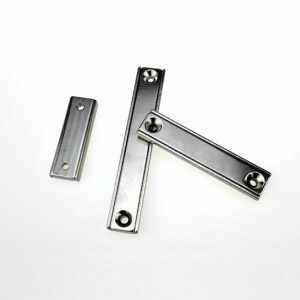 They are suitable as neodymium cup magnets, magnet base, magnet pull, outdoor attachments and for many other applications. 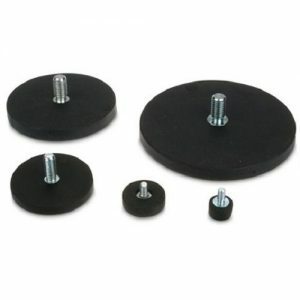 We offer different types – from countersunk pot magnet over magnet base with thread to magnet systems with rubber coating and hard ferrite cup magnets. 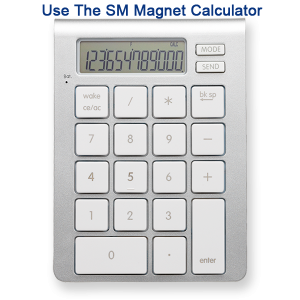 In addition, you can order magnetic flat rods made of neodymium or ferrite in different models. This allows you to select the products that best fit your needs. The indicated adhesive force was measured perpendicular to the surface to which the magnet should stick. It takes a lot less strength to move the magnet sideways. Therefore, you can strain a pot magnet much less if you use it on a wall as opposed to using it on the ceiling. 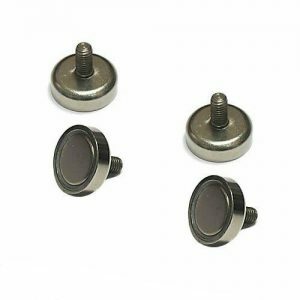 Neodymium pot magnets are not rust-proof and therefore intended for dry indoor use. Most pot magnets can be heated to a temperature of up to 80°C without losing their magnetization (ferrite magnets and certain CSN-types even higher). The adhesive that connects the magnet and the steel pot may become brittle at continuous heating to this temperature. Hence, it is recommended to use pot magnets only at room temperature. 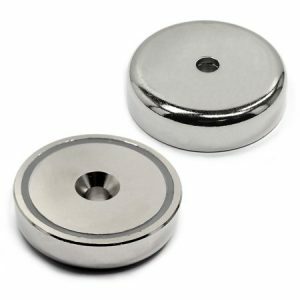 Powerful Rare earth magnets: Made of strong rare earth Neodymium Magnet，uniquely design to have magnet sits inside a hard steel cup to provides excellent mechanical properties and durability. 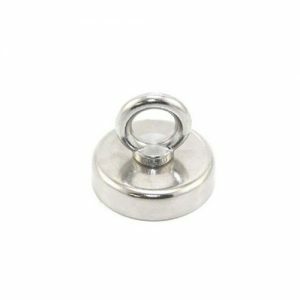 This neodymium magnet can securely hold up to 80 lbs, 50% less pull force if use on underside surface. Easy to Install: The screw can be easily screwed into the wooden surface with screw head sitting flush with the surface of the magnet. The countersunk hole on the magnet works well with the flat head screw to affix onto any surface. High Quality: Nickel-Copper-Nickel ( NI+CU+NI ) triple layer coating, BEST coating available in the market for superior durability to counter pure Neodymium oxidation properties.